Driving down 8th it can be easy to drive by Wabi House and not realize that you’ve driven by anything special. 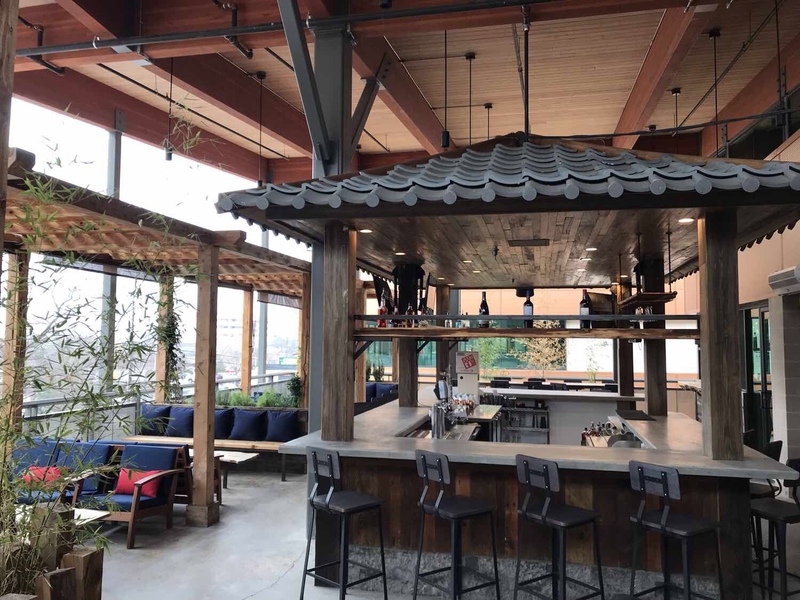 Located in a new development on the second floor next to Super Chic, Wabi House brings beautiful decor and delicious food from their original location over in Dallas. Walking up the stairs to Wabi House you first see their patio which is gorgeous. Walking up with my buddies I remember giving an audible “Holy crap” because I didn’t expect for the patio to look and feel as cool as it did. Wabi brought the traditional Japanese building construction in as decor both inside and outside to give a cool feel to the restaurant. Luckily, I was heading there with a buddy who lives in Dallas but works in Fort Worth. He had been to the Dallas location before and knew the good things to get. One of these including the crispy pig ears. Pig ears to me are normally the treats that I remember giving to my dogs Spunky and Sparky when I was growing up to entertain them for an afternoon. I probably wouldn’t have gotten them if it weren’t for this recommendation but I am glad that they did. They have a slightly sweet but mostly salty seasoning on them and are like a pork rind but with actual substance. Some pieces being slightly chewy were incredible. Combine that with the spicy mayo dipping sauce that they serve with it, its sure to be a crowd pleaser. As for the ramen, I was blessed to be able to try the tonkotsu, spicy miso, and veggie ramen thanks to my buddies who don’t have an aversion to sharing food. Although they were all good I think that my favorite was the spicy miso just because of the balance that the dish had with its spicyness. The spice level was definitely present without making me feel like my afternoon will be ruined by spice. Because I lack a better descriptor, I have to go with the very cheesy food critic adjective of harmonious for this one. Everything played nicely with each other. The traditional tonkotsu, although not my favorite, was also delightful with the soft boiled soy soaked eggs and smoked pork. 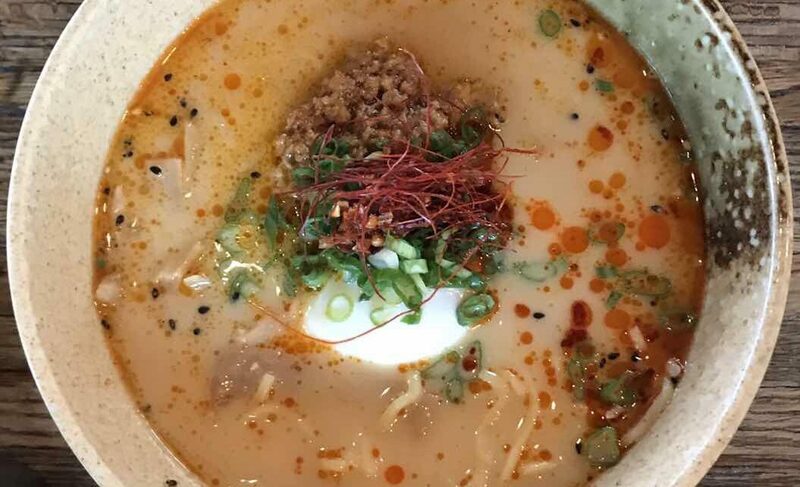 This is the best to get if you are wanting a truly traditional ramen. While I normally don’t like anything veggie, I also have to admit that the veggie ramen was delicious. It was filled with mushrooms that soaked up all of the flavor of the broth and seasoning. To me mushrooms are the meat for vegetarians. They are natural flavor sponges that actually fulfill the promises left empty by tofu. Tofu is terrible and I don’t understand it. Ultimately, I left Wabi House very happy and wanting to go back for more. It will be on my short list of places to frequent. So there you have it Fort Worth! Get out there and eat it! Heim BBQ New location set to open in 1 month!